Oh, hello, is it August already!? I guess it's already been a month since I last raced (and thus blogged). July went by in a blur. 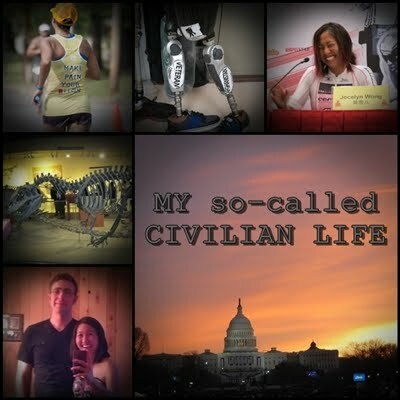 Definitely some highlights and lowlights in the midst of working lots (as usual) while building up my training for the B2B half ironman. Once I committed, I was able to finally hit over 10 hours of training per week! In May, when I was training for an Olympic and feeling wishy-washy, I could only ever hit about 7-8 hours. Recently it's been more like 11-12. Huzzah! July was marked by Kevin's birthday (high! ), Randy's passing (LOW), and Amy's visit (high!). Kevin's birthday for the second year in a row consisted of his favorites: Shake-n-Bake chicken, Stovetop stuffing, and an Oreo ice cream cake. What a difference a year makes--his birthday last year was celebrated with just the two of us, when he came home from his B shift (11pm). We didn't have very many (or any?) 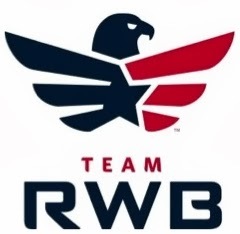 local friends yet, but since then we've gotten more involved in the local Team RWB chapter and ta-da, lots of cool athletic friends! Kevin has been my rock since I left my "awkward years" in Delaware behind and has always encouraged me to get back into triathloning. He knew I was just in denial about not wanting to do it any more. ;) It's been a fun experience starting the wedding planning process together. Randy, ride in peace, as we've said. Randy was the shop manager at TBB Cyclery (formerly The Bike Boutique before it was rebranded) in Delaware and the first person I met as he picked me up from the Amtrak station. Delaware was meant to be a one-month stopping point in between Ironman Lake Placid and Ironman Louisville for me four years ago, somewhere I could train. I was supposed to stay with a random person on Craig's List and Randy wouldn't have any of that. He made a phone call and dropped me off at The Bike Haus...everyone was so welcoming and I was tired of living out of my suitcase at that point...so somehow I was convinced to stay! I ended up working with Randy as a shop employee (the pro triathlete ambassador/marketing person) to help get the bike shop off the ground in those early years. I don't even know if we ever had a photo together, as we were usually taking pictures of each other in the bike shop or local cycling events to help promote TBB Wilmington. Randy passed away from a heart attack while on a bike ride (his favorite activity). A week later, I drove up for the funeral (Monday night) and the memorial ride (the Tuesday night Toscana ride); Monday was tough as his death at age 54 didn't seem real until I was there in the funeral home. I still do the shop's email newsletters (easy to do remotely) and so had been in touch with both Mac and Randy every month, if not more frequently. Randy's last email to me was only 2 weeks prior, and he threw in a brief afterthought "BTW: congrats on your fine finish, the Wongstar is back!" I'm not sure what race he was referring to, so I'll just have to make sure I have "fine finishes" in every race I do from now on! The Tuesday night ride was amazing--hundreds came out, we had 5 police escorts, and Randy got to lead the ride (his Cervelo was on the lead car). I did get to reconnect with Jen-Z and Super-K at their new Bike Haus as I told them it was only fitting since Randy had dropped me off at their back door step. That very sad week was perked up by Friday, when Amy flew in from Austin. She's my Maid of Honor so of course we had to kick Kevin out for 24 hours so we could go do super girly stuff, like try on wedding dresses, eat lots of cupcakes and drink wine! It was so good to have her kickstart the wedding planning, I might even hire a teenage electric cello player that we saw playing in Bethesda Row. We ate a lot and trained a lot too--we actually packed quite a bit in the 48 hours she was in town. Best of all, she shamed me into wanting to work on my swim again. That's what real friends do! Quote of the weekend was something like: we're always either training, eating, or digesting--so we can train more or eat more. #TeamFatKidz for life! Amy's Instagram, I'm not cool enough to have it. Overall, I think July made me realize that I've been in triathlon denial for a long time. I learned from meeting Randy's family that back in 2010, he too was living a lifelong dream: running his own bike shop. We were both "living the dream" at the same time, he with the bike shop and me as a full-time pro triathlete, sometimes it seemed like it was the blind leading the blind! I once did a Powerpoint presentation on "how to become a triathlon superstar"
I realized that being a professional triathlete wasn't ever the dream (especially with the ongoing debate on what being a "pro triathlete" really means), and that success for me was never about winning the big prize money and making a living from the sport. All I ever wanted to do was to get faster, see the world, connect to people through triathlon, and enjoy the ride. And there's no reason I can't still do that (and be less stressed out financially) with the direction that life has taken me. I'm finally ready to give up all my hang-ups about being a has-been pro and embrace being a huge trigeek again. Cue the super trendy RoadID I finally bought...and yes, you should totally get one too! Until August, wait, it's already August--this month will bring another Olympic-distance triathlon, a 10-mile road running race, and perhaps more wedding planning!